I have been known to have a smoothie for breakfast when time is on my hands. You have to be organized, with fruit ready to go in the freezer and the varieties are endless. 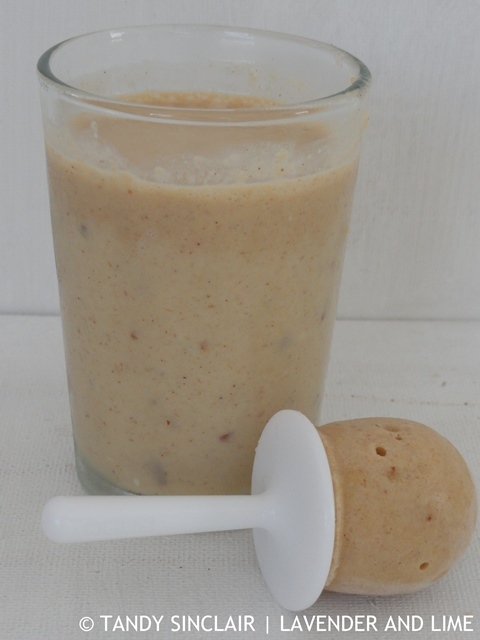 The health benefits are also great and to that end I froze some left over mixture to make Smoothie Mini Pops. I wanted to buy my nieces a gift that they would be able to use for a long time. Something that was practical, and could be used for treats. I decided to get them the Zoku Mini Pop maker and of course I could not resist playing around with it before packing it in my suitcase to take to them. 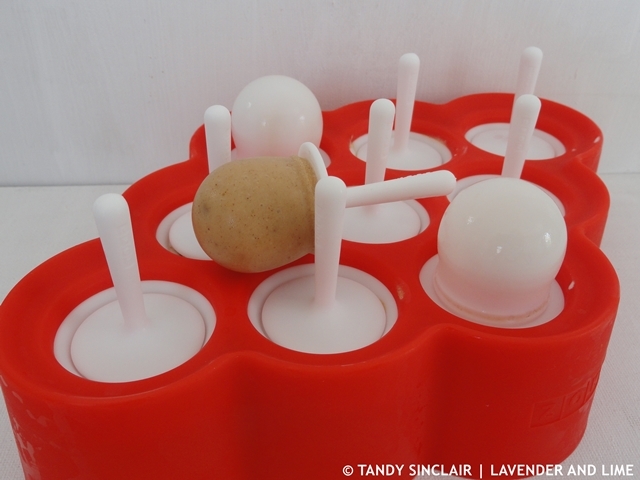 The reason I like this mini pop maker is that you can top up the pops as you empty them and they will freeze just about anything. I tried to make margaritas first, but the alcohol would not freeze, no matter how much I diluted it. And frankly, how much fun would diluted alcoholic pops really be on a hot summers’ day? I made a breakfast smoothie and froze 9 mini pops to enjoy in the heat. Dave and I tested them out the following afternoon and they really hit the spot. I used 3 of the moulds to make my tartufo which worked really well. I discovered that children don’t really like the texture of the almonds in my smoothie mini pops as more were discarded than eaten by the little ones. In Johannesburg Sasha, Nadia and I made chocolate pops using the hot chocolate I had received in my FOMO box. They absolutely loved them and I hope they will enjoy many years of pop making. I freeze my bananas whole, with the skin on. Freezing bananas with the skin on? Interesting! And great when they are teething! These look delicious. What a cool idea to make the pops with left over smoothies. Really refreshing for the Summer! Oh, my! It is what I call a refreshing and healthy breakfast/snack. Love the combo of flavors!!! These would be perfect for the summer, I do not always enjoy my morning smoothies but I have to take them so I will try freezing them I am sure would make them better! 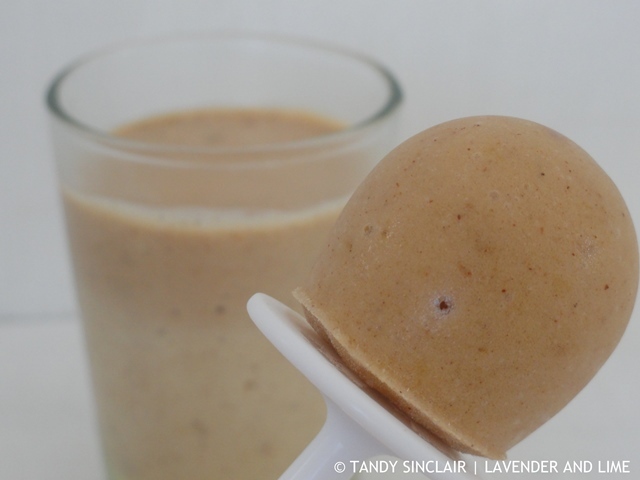 My kids would love these smoothie mini pops! An extra fun way to enjoy some healthy nutrition! Homemade pops always taste 100 times better anyway! So cute! A great idea for having smoothies in a different way. We do that sometimes for our kids in summer. Oh How cute! Indeed the perfect gift!! And how do you peel the skin off from frozen bananas. Thats such a task for me! I always freeze them peeled. You’ve been really creative with your Zoku maker! I had one but alas the salt leaked out from inside the maker. What a shame as it was lots of fun! These smoothie pops look so refreshing and delish, Tnady. Hi Tandy, I love that you add raw almonds to your smoothies, looks delicious! We always have some of these in out freezer in the summer and we definitely will be this summer too, to keep me cool during pregnancy.